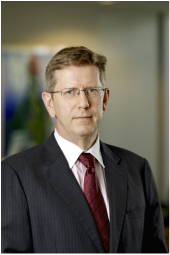 Grant Allan has been in private practice as a barrister at the Queensland Bar for over 20 years. He was admitted as a barrister of the Supreme Court of Queensland in 1992 and to the High Court of Australia and Federal Court of Australia in 1993. In January 1994 he commenced practice at the Queensland Bar in Brisbane. Grant has represented defendants in Local Government and Environmental prosecutions in the Magistrate’s Court, on appeal to the District Court and in the Queensland Court of Appeal (see for example, Marshall v Averay (2007) QPELR 137; Lucy v OCC Holdings Pty Ltd (2008) 157 LGERA 279; and with Denton QC in De Bray v Cohen  QPELR 479; Cohen v Macefield Pty Ltd  QCA 95). For several years now he has been briefed to lead juniors (see, for example, Chief Executive, Department of Transport and Main Roads v Young Men’s Christian Association of Queensland  1 Qd R 129;  QCA 311 and Young Men’s Christian Association of Queensland v Chief Executive, Department of Transport and Main Roads (2012) 33 QLCR 221;  QLAC 3). Office of Director of Public Prosecutions in Queensland (1991-1992). Compulsory Acquisition: The Assessment of Compensation under the Acquisition of Land Act 1967 (Qld), Issue 61, Hearsay, April 2013.